Zermatt, 12th December 2013. The highest musical quality, unplugged shows in front of a magnificent backdrop, a hotel becomes a stage, and a piano flies to the Matterhorn: Zermatt Unplugged presents its first acts. They start the ball rolling and the snow melting. It’s going to be a feast full of intimate experiences and unforgettable musical encounters. 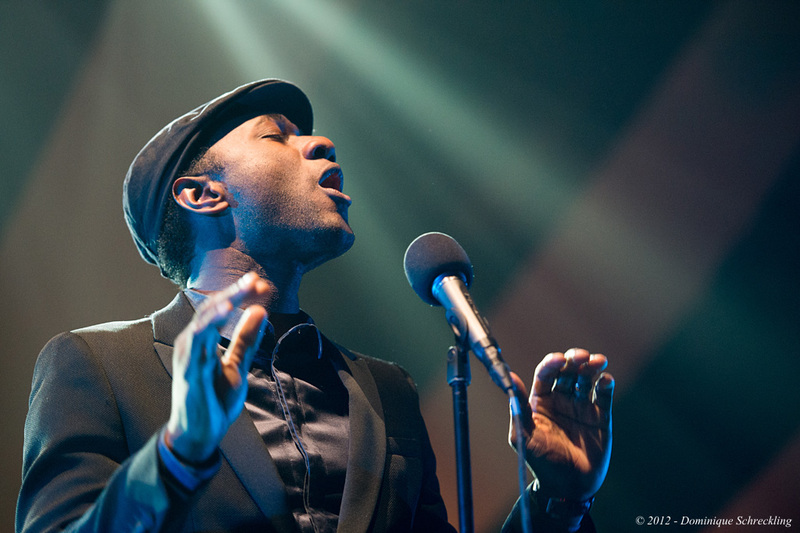 Super kick-off on Tuesday, 8th April 2014: With Aloe Blacc and Tom Odell, Zermatt Unplugged is welcoming two outstanding musicians: Aloe Blacc, who performed at the festival in 2012 and left a strong impression through his musical diversity and a flawless appearance, returns as a megastar. As co-author and voice of the Avicii song “Wake Me up”, the soul singer has indeed become the soul of the world, for whom all doors stand open. Tom Odell, a newcomer from Great Britain, knows the feeling: The 22-year-old, whose songs are evidence of an early maturity and beauty, simply swept everyone away with him. By contrast, 29-year-old Katie Melua seems almost an old hand. She’s been appearing on the stage for ten years and captivates her fans all around the world with a series of new songs, most recently with her “Ketevan” album. Zermatt Unplugged is proud to welcome this bright star to Zermatt Unplugged. Mick Hucknall is a legend. As the singer of Simply Red, he shaped a whole era with his songs, his voice and his musical personality. For the first time in the history of the festival, things will get really jazzy during this year’s edition, and, among others, this is largely due to Jamie Cullum, the highly respected cross-over artist, whose sixth album, “Momentum”, has again creamed off the very best reviews and whose exceptional performance is something we can really look forward to. The same applies to Ronnie Scott’s All Stars, the house band of the renowned Ronnie Scott’s Jazz Club in Soho, London. They will be appearing daily at lunch time on the highest stage in Europe, on the terrace of the Gandegghütte cabin at 3,030 metres above sea level. Their programme is entitled Extreme Jazz, and the production conditions that arise in making the seventh edition of the festival into a really great adventure for the musicians, organizers and guests are also certainly extreme. Is René Hürlimann, the owner of the Hotel Alex, already experiencing sleepless nights? Probably not – he has already welcomed Billy Idol, Amy Macdonald, Bob Geldof and Roger Taylor from Queen as regular and party guests. The Alex has converted its tennis hall into a stage especially for Zermatt Unplugged: It’s known as “The Alex”, and has room for 1,000 visitors. The artists will reach the stage directly from their rooms, and can then celebrate with the concert visitors and guests in after-show parties. The programme for “The Alex” will be announced in January. At the Sunnegga Sessions and in the Vernissage, Zermatt Unplugged is presenting exciting singer/songwriters who are unswervingly following their own musical paths: Andy Burrows, the former drummer of Razorlight, and Ron Pope, who has become well-known through the Internet hit “A Drop in the Ocean”. Both artists are just perfect for the setting of the Sunnegga Sessions, where they will appear before 110 concertgoers. Jamie Scott in the Vernissage: his songs are always guaranteed to find their way into the British charts. Among others, Scott writes songs for the boy group One Direction. Yodelice is the name of the interesting French artist who has kept the whole of France under his spell for some years now. He will lead the festival-goers into a long last, feverish night at the Vernissage. Tickets are available from midday, 12th December 2013 on www.starticket.ch and in all Starticket points of sale (Post, SBB, Manor and Coop City), as well as in the ZAP bookstore in Zermatt. The Season Opening with James Walsh, Marlon Roudette and the Bach Collegium Zurich will take place on the 27th and 28th December 2013. Additional bands for the Marquee Stage, The Alex, the Vernissage and the Sunnegga Sessions will be announced at the end of January 2014. Line-up will be announced at the end of January 2014.